So you have decided that Thunderstruck is too hard and are looking for easiest AC/DC songs to play on guitar? Let’s help you out then. I’m sure that brothers Malcolm and Angus Young didn’t think they will get this big when they formed AC/DC back in the ’70s. Couple decades later, they have one of the biggest and best-selling bands in the history of music. Thunderstruck, Highway to Hell and Back in Black are now considered masterpieces and rock’n’roll anthems. The band is still rocking, they may have toured in your country recently, but the things are not the same anymore. The core of the band has felt apart. Their first setback was in 1981 when the lead singer Bon Scott died. The band picked themselves up and Brian Johnston did a really good job as his replacement. In 2011, guitarist Malcolm Young left the band due to illness and Brian Johnson experienced hearing loss and also left/was ejected. The drummer Phil Rudd was on and off the band, only to leave it in 2015. Then, instead of retiring the band and saving the legacy, Angus Young decided to get Axl Rose, who barely has enough strength in his vocal cords to sing for Guns’n’Roses. The bass player Cliff Williams saw where this is going, and decided to leave as well. Angus still doesn’t intend to stop and will hire touring musicians to fill the voids. Personally, I think that is ridiculous. Yes, he will earn more money to pile up on those millions he already has, but he just stains people’s memories on what was a great rock band. Also, his schoolboy uniform isn’t charming anymore. 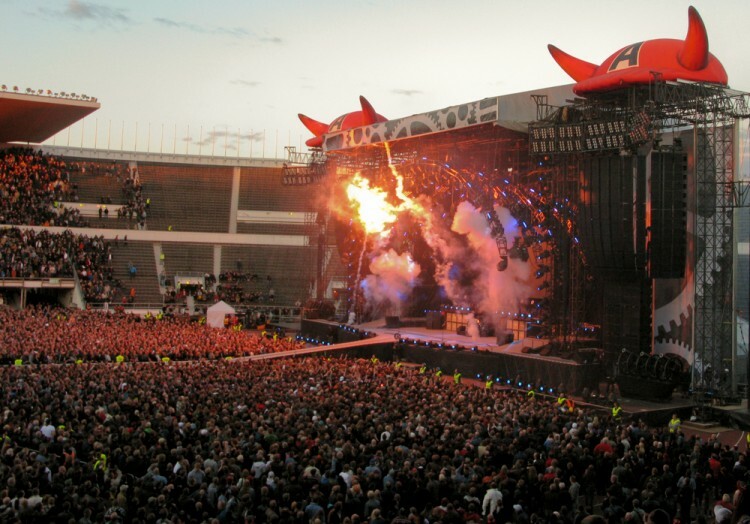 So, if you have an opportunity to see “AC/DC” live in the future, pass on it. You’ll be better off playing their songs on YouTube. Look at me, I got myself talking. You only came here for some easy songs. Well, I may not like Angus, but the man knows his way with the guitar. He and his brother were a great lead/rhythm guitarist combo. That is great for those who like to hear them play, but for you who want to play their songs, it isn’t good news. But this is just my opinion. Some people say you only need to learn few tricks and you can play most of the band’s songs. If you are just getting into the business of playing guitar, I recommend you to check these 10 Easy Guitar Songs for Beginners Without Capo first, then come back here. I was going back and forth about the methodology for our list of easiest AC/DC songs to play on guitar and settled on taking recommendations from the people who have experience in playing their songs. I’ve gone through various forum threads including two on AC/DC Fans (first, second) and Guitar Forums while also checking out some YouTube tutorial videos. The songs that were recommended the most as being easy and good for beginners who want to play AC/DC ended up on the list of easiest AC/DC songs to play on guitar. Check it out.